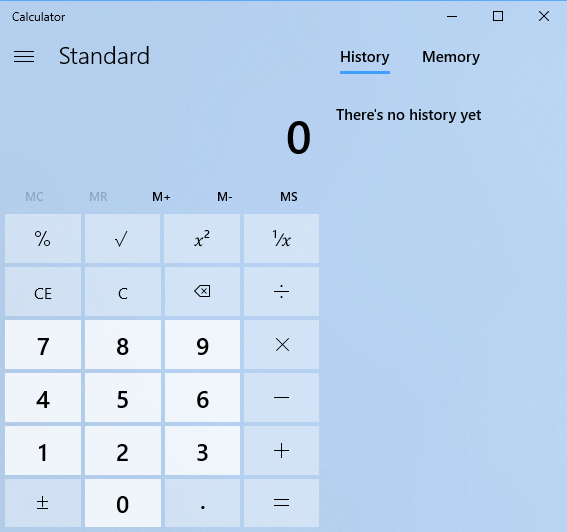 You might think I’m completely mad, but the Windows 10 calculator is much more powerful, and incredibly more useful that it at first might appear. 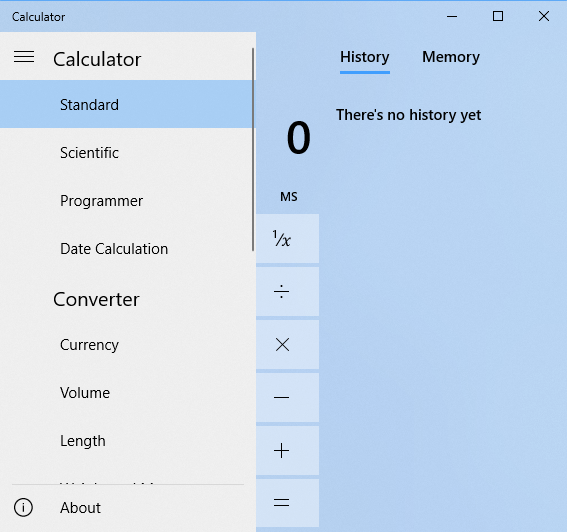 When you open the calculator in Windows (the best way to search for it in the Start Menu), it looks like a perfectly normal, pretty basic, everyday calculator. If you start to play with the calculator though it’s hidden functionality is quickly revealed. For example, you can make the buttons larger and more accessible to use by just using the calculator full screen, or by clicking and dragging a corner to make it’s window bigger. If you expand the calculator sideways a full history panel will open as well, which can be useful for keeping track of complex calculations. 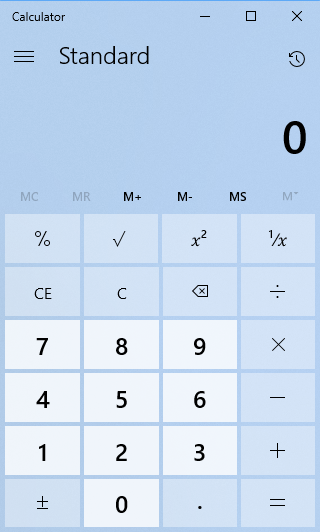 Clicking or tapping the menu icon in the top left corner of the calculator reveals a fly-out menu with options including standard, scientific, programmer, and date conversion calculators. These are useful for everything from scientific work or study, to finding out how many days you have until your new holiday begins. Also in the menu are a large variety of conversion options, from length, weight, area, time, and angle, to a currency converter that uses live information from the Internet to give you the best and most accurate information possible. 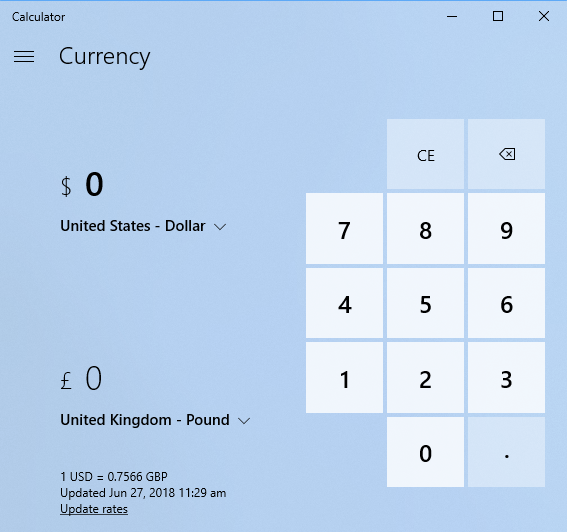 So the next time you open the Windows 10 calculator, don’t just dismiss it. Instead think of all the other ways it can help you get more done, more effectively, and more efficiently than before.